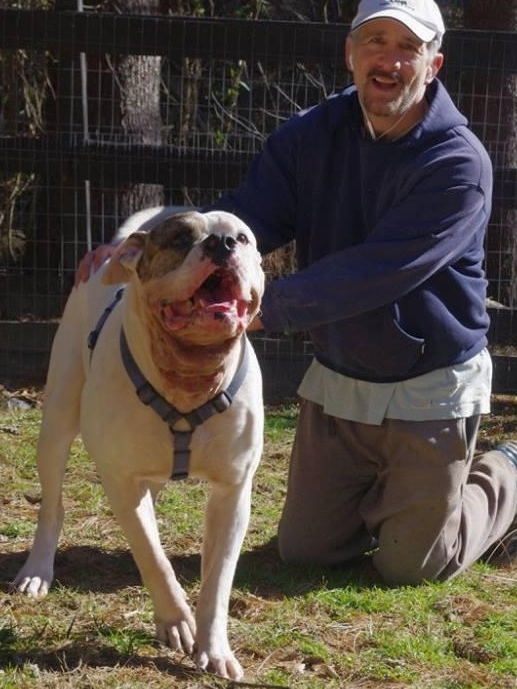 He is a very lovable 5 year old American bull dog in need of a new forever home. He had been surrendered to a shelter due to his family not feeling comfortable managing a large dog and toddler together. Sully is a big bundle of sweetness and became a volunteer favorite immediately! Despite his large size, he walks well on leash! He loves attention from people and appears friendly toward other dogs at the kennel! He is in immediate need of a foster or adoptive home as he is not fond of kennel life!